This West Hollywood / Beverly Center Area deli has become a neighborhood favorite for its high quality and varied deli sandwiches. This service and catering deli offers its buyer those attributes that are the most sought after a 6 day per week daytime-only operation, consistent year over year profits, a marquee location at an attractive lease rate, a loyal local customer base, and a scalable concept and plenty of opportunity for continued growth. The facility does not have a hood but does have a deli case, salad table, 3 prep tables, microwave, soup warmer, 2 two door refrigerators, a freezer, a three bucket dishwashing sink, an ADA approved restroom, seating for approximately 15 patrons inside and 10 on the patio, and a large flat screen television and a restroom and manager s office / storage area. Location and Facilities: This 1,200 square foot facility plus ten person patio leases for $4,000 per month on a lease until 2018 with a five year option. The deli is located in a highly visible marquis type of location that reduces the need for advertising, but provides it opportunity for additional growth! 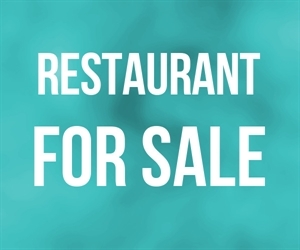 Market Information and Position: This restaurant does have a few nearby quick service and full-service food venues, however, it has managed to carve out an immediate market niche while developing a loyal customer following. This daytime deli has several avenues for potential growth that a new owner may seek to exploit. Options include extending the operation into the evening hours (particularly on weekends) like neighboring quick service venues have successfully done for years, expanding the menu to include hot foods that do not require a hood to prepare, and launching an aggressive marketing campaign to nearby high discretionary income residents and businesses to introduce the deli while promoting its delivery service and catering. Competition: As such, there is a reduced threat of new direct competition.